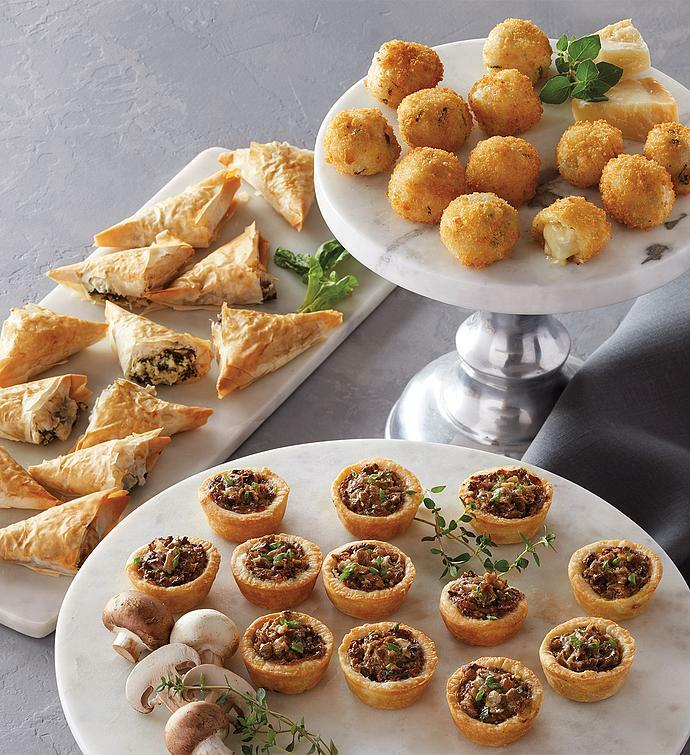 Serve up gourmet excellence at your next gathering with this collection of incredible appetizers. Included in this assortment are earthy and flavorful wild mushroom tarts featuring crème fraîce, shallots, sherry, and spices; savory spanakopita triangles made with spinach, premium cheeses, and onions; and traditional three-cheese arancini featuring white rice, onion, and a blend of Parmesan, fontina, and Gouda cheeses. These heat-and-serve appetizers make elegant entertaining a stress-free experience.